Fred Rogers with his puppets and trolly from "Mister Rogers' Neighborhood." For the 51st anniversary, give the gift of Fred Rogers. Spread the word that the excellent Fred Rogers documentary, Won't You Be My Neighbor?, debuts on broadcast television 8 p.m. Saturday. Morgan Neville's film, which opened in theaters last year on the silver anniversary of the Mister Rogers' Neighborhood public TV premiere, was the highest-grossing documentary of 2018 ($22.6 million). And rightfully so. It's a nostalgic, feel-good film about the life, lessons and legacy of the children's television host who broke through the clutter by speaking slowly and directly to young viewers. The film is filled with clips of Rogers and interviews with his wife Joanne; their children; cast members David Newell (Speedy Delivery man Mr. McFeely), Francois Clemmons (police officer Clemmons) and Joe Negri (the handyman); and staffer Hedda Sharapan. Rogers, who died of cancer at 74 in 2003, surprised his family by announcing he was going into TV instead of divinity school after he earned a music degree in college in 1951. He eventually earned a master's degree at Pittsburgh Theological Seminary in 1962. The Presbyterian Church ordained him as an evangelist to minister to families and children in his television work. Won't You Be My Neighbor? includes film of Rogers appealing to congress in 1969 for Public Broadcasting System (PBS) funding. He closed his argument by reciting the words to his song, "What Do You Do With The Mad That You Feel?" The committee chairman, who opposed the funding, was instantly swayed: "Looks like you just earned the $20 million dollars." Rogers wrote 263 songs for the show about kids' feelings and fears. They're still relevant today: "You Are Special;" "It's Such A Good Feeling;" "There's Only One Like You;" "It's You I Like." He even wrote one about bath-time anxiety called "You Can NEVER Go Down The Drain." And of course, "Won't You Be My Neighbor?" 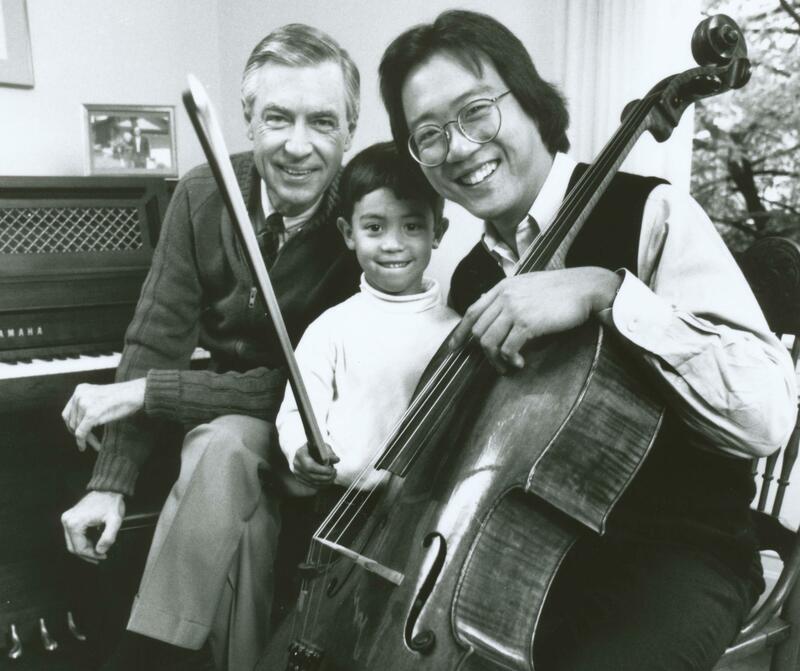 Yo-yo Ma and his son Nicholas were among the musical guests on Rogers' TV show. In these polarized, contentious times we could all use a little encouragement and enlightening from an old neighbor. I found the film to be a very emotional experience. We all need to stop and listen to the wisdom of Fred Rogers. 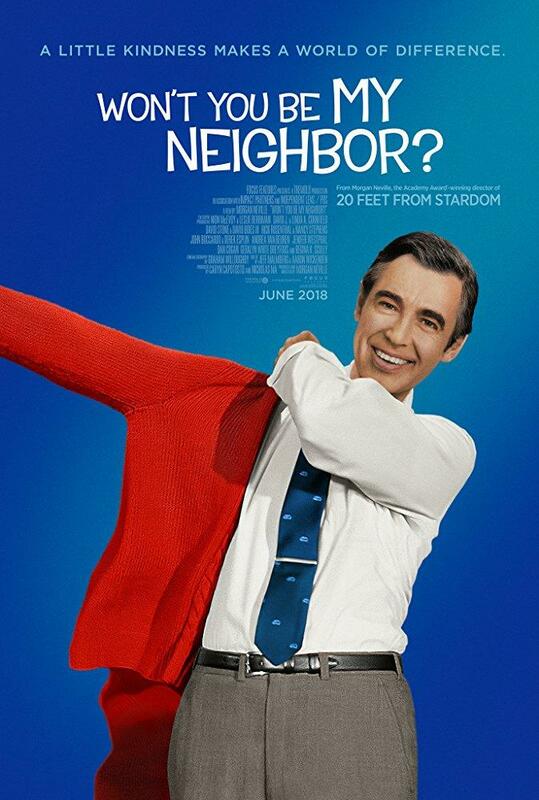 Won't You Be My Neighbor airs 8 p.m. Saturday, Feb. 9, on PBS stations (Channels 16, 48, 54) and HBO. This fall,Tom Hanks will star as Fred Rogers in "A Beautiful Day In The Neighborhood" scheduled for release Oct. 18.